As hobby farmers, we’re all familiar with the comprehensive guides to country life and rural living. With their line illustrations, charts and detailed how-to information, they make great reference tools to tuck away on our bookshelves. The Rural Life is not one of those books. Author Verlyn Klinkenborg’s prose details everyday life on his small farm in upstate New York with pure, unadulterated love for the subject matter. Assuming that readers have a basic understanding of farming, Klinkenborg describes the rural life month by month, by observing the small things—like a hawk preening on a fence post, the many uses of plastic baling twine, or the way cattle like to eat ground-up locust pods (a thought that will haunt the author until he ends up getting cattle). Lugging two bales of hay into the middle pasture, stacking next winter’s wood before digging this summer’s garden, or hearing the distant bleating of the neighbor’s goats: “This is the common stuff that gives rural life its substance, a token of what divides this way of living from any other, a reminder of what comes next, what comes every day,” writes Klinkenborg. The Rural Life gives the reader a clear vision of what small farm life is like. Without embellishment, Klinkenborg’s prose relates the joy, the pain and the ordinary beauty of daily life, along with his thought-provoking insights full of wisdom. If you’ve thought of gettinginto the business, or maybe just growing herbal teas for your own use, Herbal Tea Gardens is a treasure. Packed with information, the book covers growing, gathering, cleaning, storing and brewing. Herbal Tea Gardens also delves into designing gardens based on health needs, as well as location and landscape. For example, if you need to care for your arthritis and live in the north (Zones 3-5), grow alfalfa, cayenne, clover, labrador tea, meadowsweet and white willow to include in brews that will soothe your aches and pains. The book also provides recipes (over 100) for whatever ails you. Got a headache? Try a cup of “Headache Helper” by brewing one teaspoon of each: dried oregano leaves, dried feverfew leaves or flowers, dried lemon balm leaves and dried catnip leaves. Does your love life need a boost? Brew a cup of “Lovage Energizer”—one teaspoon of each: ground ginseng root, dried lovage leaves and dried damiana leaves. Like so many gardening books, Herbal Tea Gardens is a reference tool for gardeners. But unlike many books, the author also provides readers with specifics on what to do with the plants they grow. It’s an approach that works well for this weekend gardener and full-time herbal tea drinker. 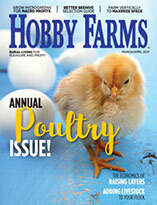 According to the U.S. Department of Agriculture, hobby farms are increasing in numbers—they represent more than 40 percent of the farms in the United States today. Rural living does have its appeal as just about any hobby farmer will tell you. 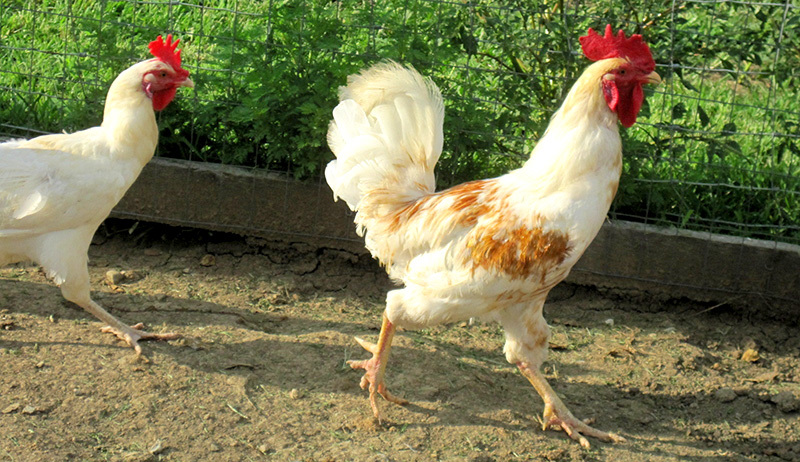 If you’re thinking about making a break for the pastoral life to escape suburban sprawl, are chickens, ducks, geese, rabbits, goats, sheep or cattle in the plan? 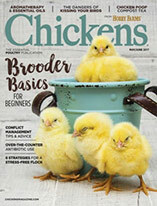 For first-time hobby farmers interested in raising farm animals, Storey Books has published a primer that might help get you started: Barnyard in Your Backyard, A Beginner’s Guide to Raising Chickens, Ducks, Geese, Rabbits, Goats, Sheep, and Cattle, edited by noted author and hobby-farming enthusiast, Gail Damerow. Written for novices, the book is surprisingly comprehensive and devotes a detailed chapter to each farm animal listed in the title. All chapters provide an introduction, along with lots of pointers such as choosing the right animals, housing, handling, feeding, breeding, health care, caring for newborns, weaning, record keeping, and more. 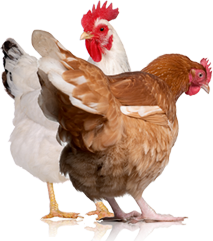 For example, the chapter on chickens also gives tips on seasonal care, egg production, collecting and storing eggs, and chickens for meat. The chapter on sheep goes into specifics regarding making sheep-milk cheese, wool and shearing, culling and butchering. The book also provides a glossary of terms, an up-to-date recommended reading list and an extensive resources listing. Dairy goats, poultry, calves and other livestock can be found on the editor’s small farm in Tennessee, so Barnyard in the Backyard does have an authoritative quality that makes it a good pick, especially if you prefer easy reading combined with in-depth detail. However, if you are a reader who likes lots of photos and illustrations, the book will probably come up short for you. Barnyard in the Backyard contains simplistic drawings that are helpful, but they are not the strong point of the book. Regardless, Barnyard in the Backyard is a valuable resource and for hobby farmers who want to include animals as part of life on the farm (for the first time), this book will not disappoint.